Out of all of the offences a driver can commit on the road, driving under the influence of alcohol is one of the worst you can commit. Not only are you risking your own of life and that of others around you, but if caught then the legal penalties will be undeniably severe. 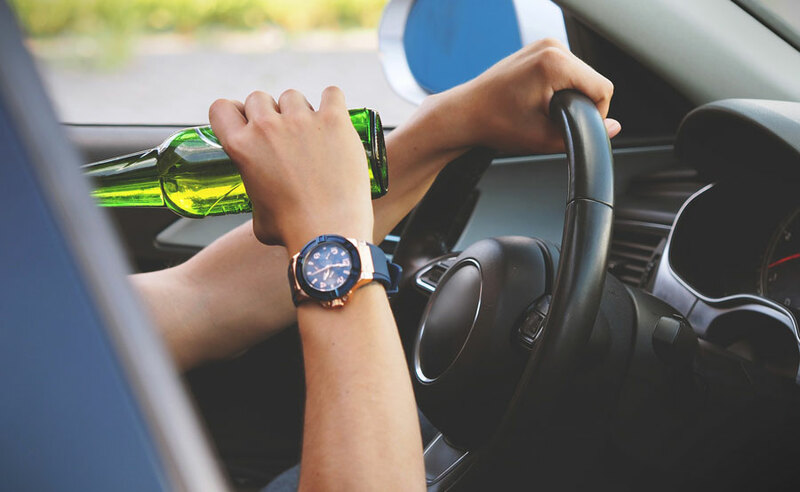 Firstly, the legal limit for drink driving is considered to be when a driver is breathalysed and found to have more than 35 micrograms of alcohol in 100 millilitres of breath, although this does vary in some parts of the UK. The test to determine to whether a driver is in violation of this limit takes place immediately after being pulled over, and further tests on urine and blood samples may follow if deemed necessary to determine one’s potential guilt. Should it turn out that the driver is only slightly over the limit, a measure of leeway is granted and the punishment is only typically a fine. However, the repercussions will certainly be more severe in the presence of ‘aggravating factors’. These are factors which add a greater degree of criminality to the incident, and include things such as if the driver is already on bail for another offence, if anyone else is harmed or nearly harmed, or if their driving is so dangerous that further punishment is required. This is when driving bans may be enforced, the length of which depending on the unique circumstances of each case. If your blood-alcohol level is far beyond the limit as well, than that is an immediate and decisive aggravating factor. This immediately puts you at risk of a jail sentence, gaining a criminal record, and losing your driving licence. An automatic driving ban can be enforced due to any of the aforementioned violations, and the length of this varies depending once more on what exactly transpired that led to the ban, as well as whether the offender has a history of such incidences. A first time offender will be banned for at least a year, but a repeat offender within a decade of their first offence will be banned for at least 3 years. It is worth mentioning that there are mitigating elements that can reduce the harshness of a possible sentence. If for instance you were unaware of having your drink spiked (and can prove it) or if it was an emergency that required you to drive without an alternative, then this will be taken into consideration. However in the overwhelming majority of cases, the justice system will not be sympathetic towards anyone proved of driving under the influence. The damage alcohol does to your reflexes and perception of the world around you makes you massively unfit to get behind the wheel and kills nearly 1000 people a year. Don’t let yourself or those close to you become part of this statistic, and always make sure to have an alternate way to get home should you find yourself with a drink in hand.